Million Dollar Minute has given away its biggest ever cash prize: $503,000. Pierre Sutcliffe, who had previously turned down $300,000, pocketed what is believed to be the biggest cash win on an afternoon quiz show in Australian television. At $500,000 the money is twice the size of recent primetime juggernauts as My Kitchen Rules, Big Brother and Australia’s Got Talent. But he opted not to try his luck at the top prize of $1 million. With just one second left on the clock, he correctly answered: Bipartisan. “This is a life changing event – it’s opened the door to a world of new possibilities. I think I’ve chiseled my name into the good books with my wife for life,” he said. “That political question absolutely threw me and I didn’t have any time left to think so I just had to pick an answer – I was sweating over it. “The next step will be moving closer to golf courses and vineyards and perhaps enable my kids to fulfill their dream of opening a café,” he aid. Million Dollar Minute airs weekdays at 5.30pm on Seven, hosted by Simon Reeve. I agree with your mathematical logic, but when you compare Million Dollar Minute with Eddies Hot Seat, is what I liken it to a chalk and cheese comparison, and as you say in regards to reaching and winning the million dollar end game I also agree again, but for some vastly different reasons.Whilst the name MDM may be a bit of a stretch for anybody to ever actually face a real Million Dollar Minute round, but at least it is each nightly ‘winning’ contestant’s who makes their own decision to accept a known $$$ amount or progress to the next round. But I think Eddies Hot Seat is more true to title, but unfortunately it seems it may be Eddie who is the one sitting in the Hot Seat ( a red hot seat) in front of a computer linked to who and who knows where, and where one missed question dramatically reduces from the million dollars?? $300k isn’t really life changing for most people and you are only risking $225k to go for $500k (enough to own property mortgage free in a major city). Trying for $1m means risking $425k a couple of times on average until you get 5 final questions you can answer. Last night’s questions and contestants weren’t that tough. I could have answered enough questions to win, but that isn’t the problem, doing it faster than the opponents is the key. Run into one fast good opponent (or a fast dumb one who takes many of your answers away) and it’s all over. I think it will be unlikely someone would risk the $425k. They miscalculated how risk averse people really are and had to at the $75 lock-in to get someone to chance going this far. So like Hot Seat the Million dollars will probably never happen. 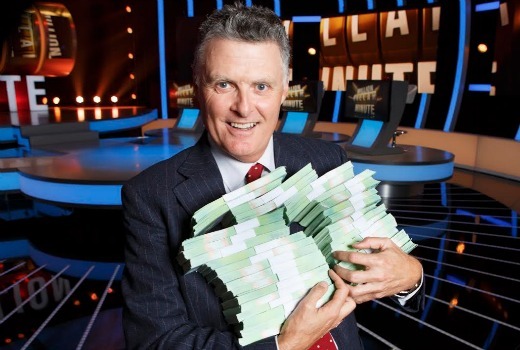 Million Dollar Minute may be a great show to watch and to perhaps even become a contestant, but only if you live in Melbourne where it is taped. Same story applies to Melbourne-based Millionaire Hot Seat, although occasionally they do have an interstate contestant. What about the rest of Australia, Channels 7 and 9? Agree with Gaz. I like MDM better than Hot Seat, the hot seat is not that hot anymore, I find that boring now, MDM is a much more enjoyable show, more questions, more variety of questions and a much quicker show all round, but as with any quiz show its a matter of preference. So many people say MDM is boring, but I love it. There are many more questions asked than on Hot Seat, and there is a bit of variety in the rounds. I know it is not as exciting at the end when people are trying to build up their jackpot, but overall it’s a great quiz show. And congratulations to Pierre. im with you… the million dollar “minute” that goes for half the show, and takes 8 or more attempts to even get the opportunity to for for it … most boring show ever. it could be worse, grant denyer as the host! !